Roses have anti inflammatory, antiseptic, antibacterial and antioxidant properties. 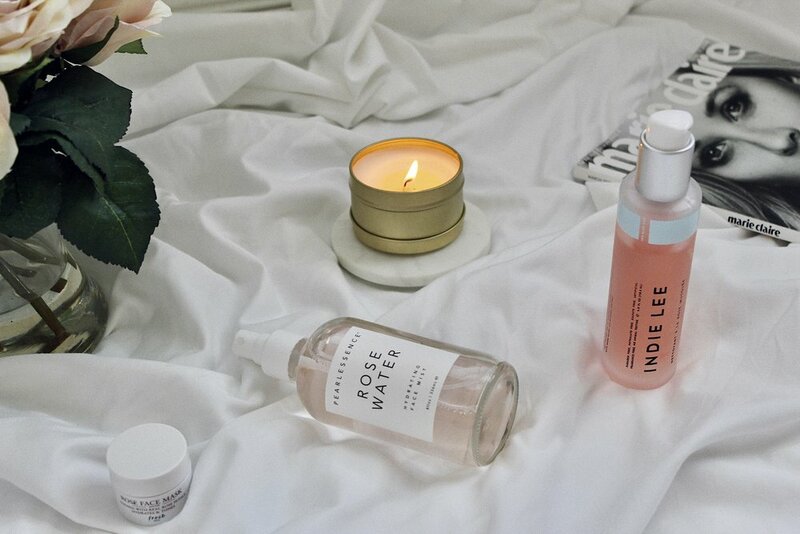 If this doesn’t make you want to bathe in rose water, I don’t know what will! Aside from that, the scent of roses has been scientifically shown to reduce blood pressure and cortisol levels (often called the “stress hormone”). Because roses have anti inflammatory properties they are recommended for those who suffer from acne or rosacea. So how can you incorporate this ingredient into your skincare? Easy, Roses are now a star ingredient in many products, so here are my top picks below. 1. Rose water spray: My rose water face mist from Pearlessence contains Rose Centifolia (or cabbage rose). I use it to freshen up my makeup after a long day, after a freshly cleansed face or even spritz it on my legs if I’m feeling too dry. I love how calming it feels and it is an instant pick me up. I know I will especially love the Rose water spray during the warmer days to come. 2. Rosehip Cleanser: I have been loving my Rosehip Cleanser from Indie Lee, it is vegan, smells amazing, and has a gel like consistency. When I use this cleanser the redness in my cheek and nose area is noticeably diminished. This cleanser is gentle and does a great job at cleansing the skin while leaving my skin supple. Most gentle cleansers that I have tried do not leave me with that “fresh, clean” feeling but this one does! This product has become a holy grail for me. 3. Rosehip oil: I have not tried this myself but I’m planning on adding this to my skincare because my skin is loving it. There is a very inexpensive Rosehip oil from the Ordinary if you want to give it a try without breaking the bank. Rosehip oil contains Vitamin C, and Vitamin A (aka Retinol). 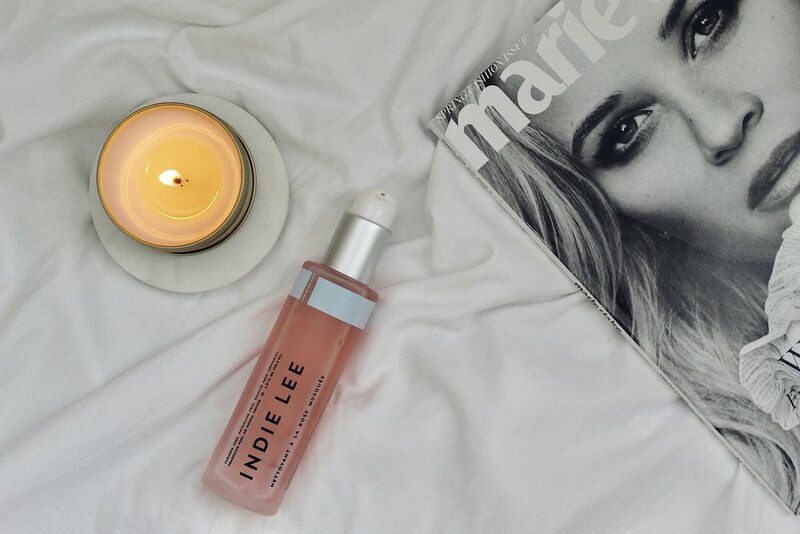 If you wanted to add an anti aging product to your skincare, this sounds like the perfect one! 4. 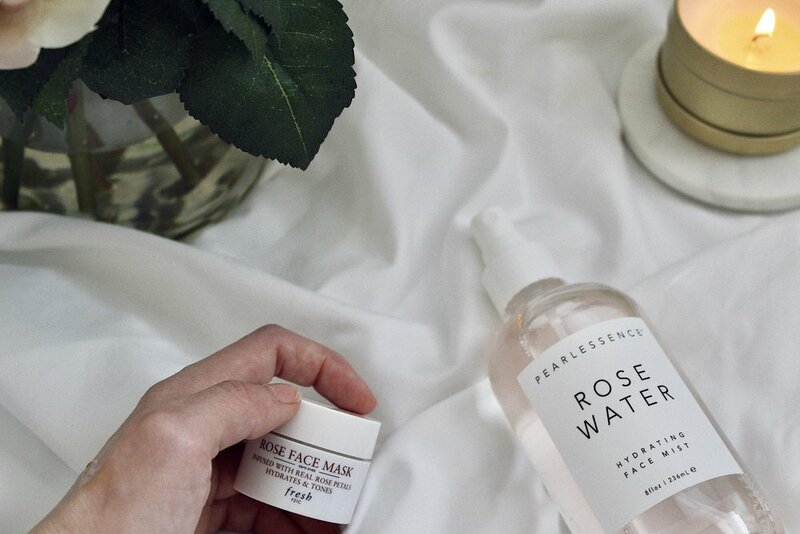 Rose Face Mask: I got a sample of the Rose Face Mask by Fresh from Sephora and it was the first time I tried and fell in love with roses in skincare. The mask itself is actually infused with real rose petals and feels like a little luxury. You leave it on for 5 to 10 minutes and it is gentle enough to use daily, I love using this mask when I notice my cheeks are extra irritated or red, it instantly calms and hydrates my skin. Have you tried any of these rose products? Or are you currently on the lookout for the perfect one? Let me know down below.